Let's talk packaging first of all. It pretty much mimics the previous Naked Heat Palette with it being a plastic compact, but it's sturdy and durable too. 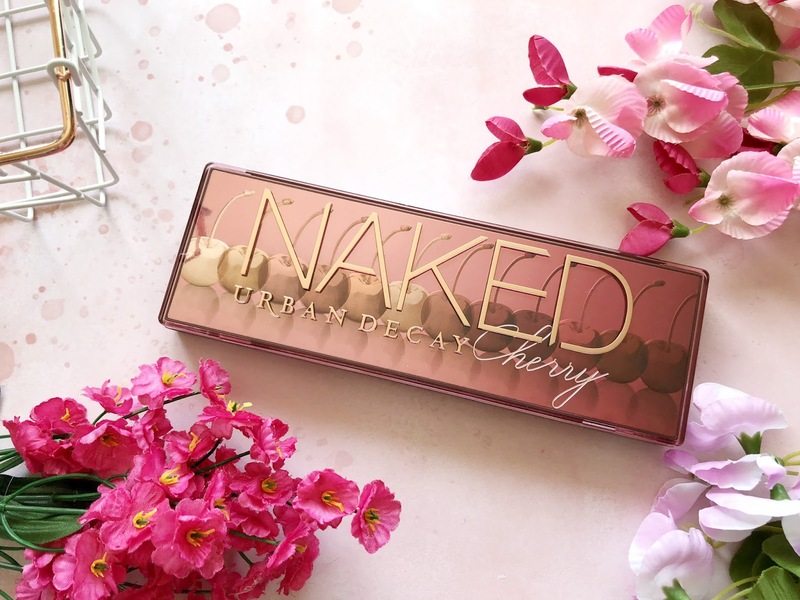 The very top of the Palette is embossed with gold lettering and alongside that there are 12 cherries in an ombre effect, signifying the 12 eyeshadow shades which are inside. Taking a look inside, the Naked Cherry Eyeshadow Palette has a magnetic closure(which I prefer) just like Naked Heat. 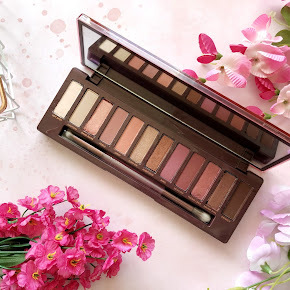 I've always preferred the magnetic closure of the previous Naked Heat Palette as it makes it so easy to travel with as there is zero chance of it opening and the eyeshadows getting damaged. 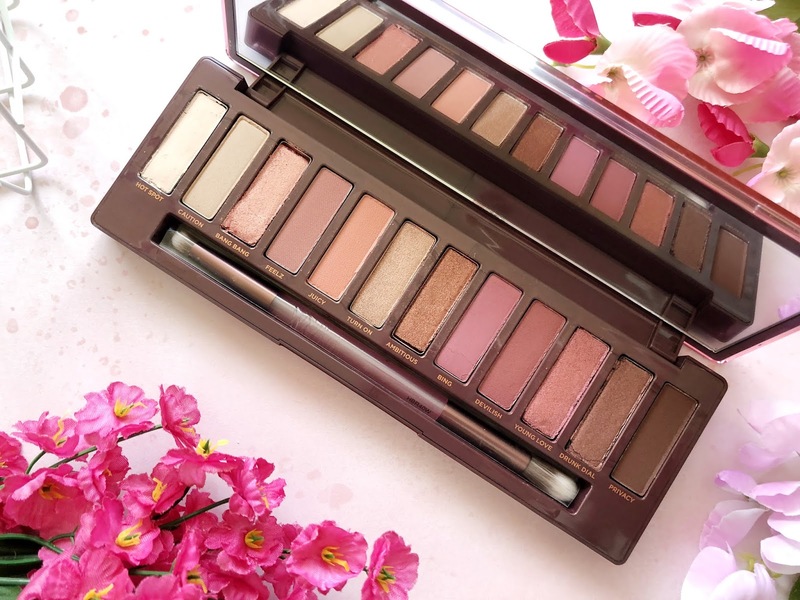 As well as that, the Naked Cherry Palette is complete with a full sized mirror and a dual ended brush inside. One side of the brush is for precision application and the other side is for blending. I've always found the dual ended brushes that come with the Urban Decay Palettes to be of wonderful quality. I've used them for some time now and they've never let me down. The colour story is beautiful. There are twelve different shades inside the palette, with seven of those being mattes and the other five being metallics. 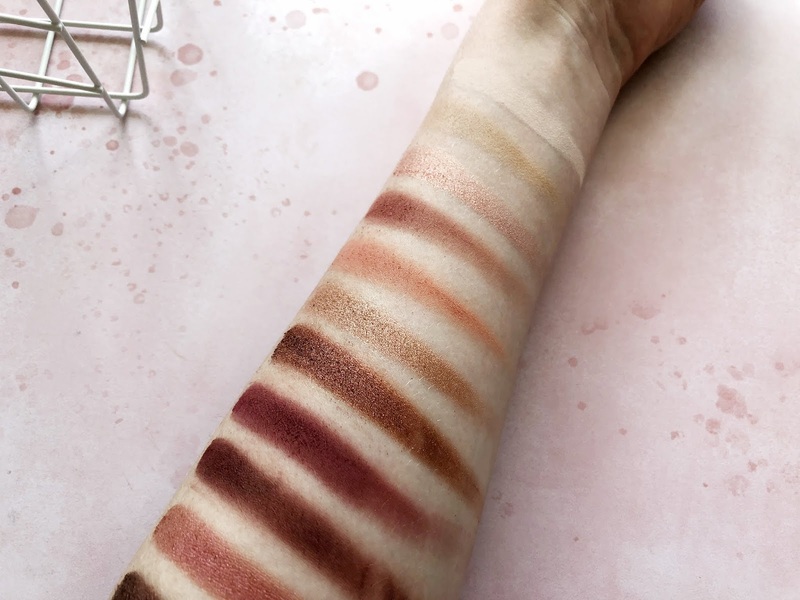 At the very front of the palette you have the more subtle and wearable nudes and pinks, and towards the end you have the pops of colour with the mauve and cherry tones. The matte shades are of good quality. They have a smooth texture and they're very pigmented. They're SO easy to blend too. There wasn't a single matte shade that I thought was lacking. I find the shimmer shades are better than the mattes(as they usually are with most eyeshadow palettes). They have a silky smooth texture to them, exactly like the mattes. I don't use a brush to apply the shimmer shades as I much prefer how they appear when I apply them with my finger. They glide on much easier and they're easily buildable too. I have used every single shade in this palette, and that's very rare for me. I would usually dip into a few shades in one palette, and then dip into a shade or two from another palette to finish the look off. You can create so many looks with this palette. 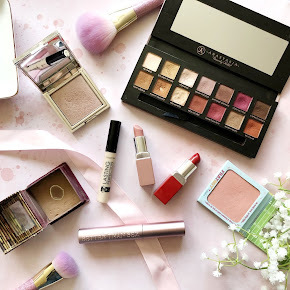 You can go for a subtle, natural look with the lighter pink shades or for a deeper, sensual look you can opt for the deeper, darker mauve shades. I never play it safe with my eyeshadow so I've been dipping into the darker shades more than I have in the lighter shades. My favourite shades from the palette are Bang Bang, Feelz, Bing, Devilish and Young Love. I usually blend Feelz into and above the crease then deepen the crease with Bing and apply Devilish to the outer part of my eye and into the crease. Of course I need a pop of shimmer on the lid too, and I either go for Bang Bang or Young Love, or a combination of the two. I never feel complete without applying colour to my lashline either so I go back to the two crease colours(Feelz and Bing) and apply them just under the lash line and blend them out. 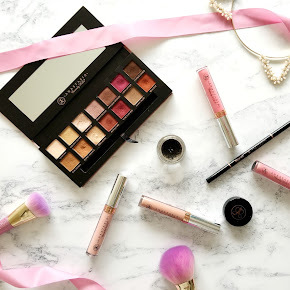 I have tried the eyeshadows with and without primer and I find they always last longer with an eye primer(I use the Too Faced Shadow Insurance Primer). Without the primer they are still long lasting but they do fade quicker. They last a good four hours or so before I see any signs of fading, but with the primer they stay in place for eight hours, possibly longer. If you're really into your pink or mauve eyeshadows like me then I think this would be a really good addition to your makeup collection. I cannot fault it at all. I've tried looking for issues with it, but I cannot find a single one. 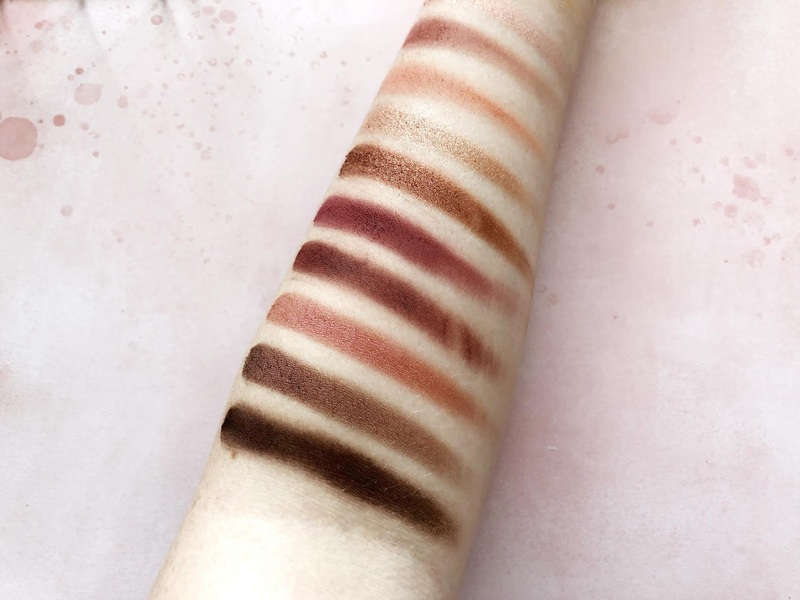 It's such a beautiful palette and the eyeshadows are all so wearable, even the pinks. I find that the mirror inside and the dual ended brush really adds value to the palette and it definitely makes the price of the palette worth the money. 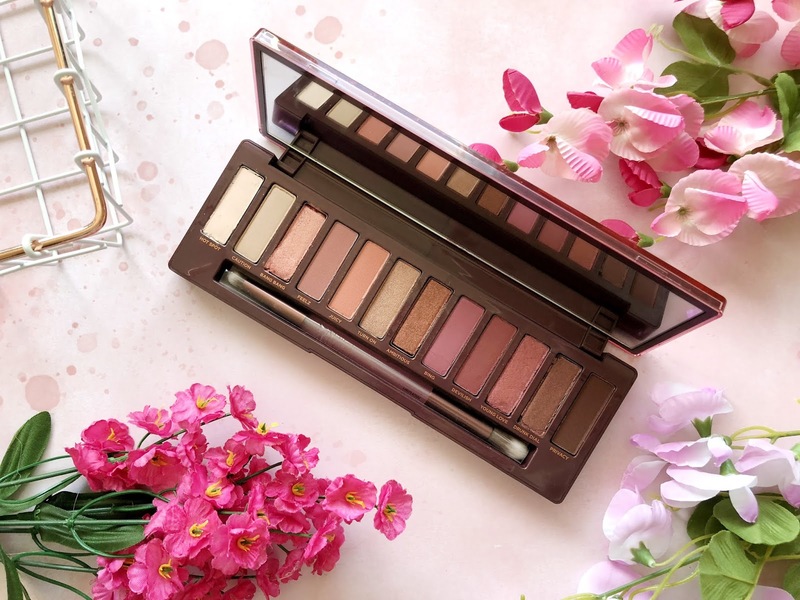 You can find the Urban Decay Naked Cherry Eyeshadow Palette here for £42.